That was really interesting. 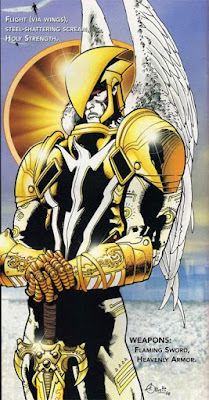 I liked seeing Dawnstar, who joined the JLA in its Canadian incarnation a few years ago. I'd also like someone to revive Equinox from that series. Thanks for that Dougie! I always tried to fit Jeff Lemire's run on that book into my pull list, as I'm a big fan of characters like Hawkman and Adam Strange, but during it's sadly short life, there was never any space. From what I hear, Equinox's powers changed with the seasons, which is a sweet twist. Plus its nice that her and Stargirl where on the team. Not all teenagers need to be in the Titans.